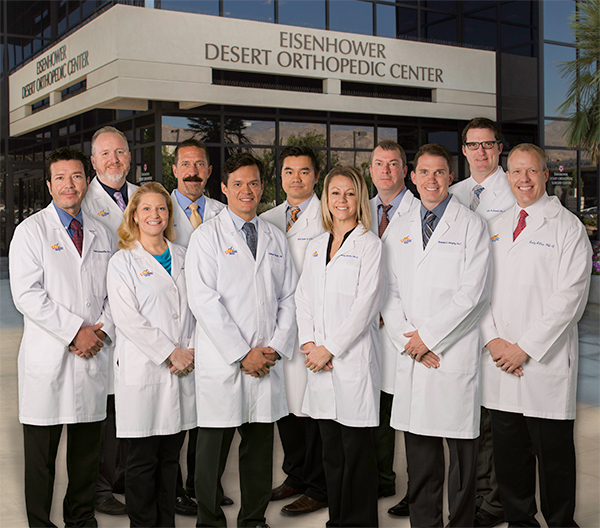 From the appointment scheduler who helps you find the right physician, to the receptionist who greets you at the front desk, the staff of Desert Orthopedic Center takes pride in making your visit as comfortable as possible. Our chief executive officer and administrator oversee a staff of nearly 150 employees dedicated to quality patient care. In order to effectively deliver the high standard of medical care for which it is known, Desert Orthopedic Center maintains a staff of qualified specialists and places a great emphasis on education. From continuing medical education to recent changes in insurance and Workers Compensation regulations, our staff keeps abreast of the latest technology to provide you with the most competent and comprehensive care available. A team approach starts at the top with physician specialists covering all areas of orthopedics. All physicians are board certified and have met rigorous training and technical requirements to become part of DOC. Many are fellowship trained and bring credentials from around the world. 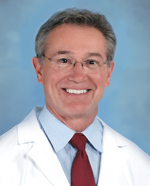 Stephen J. O’Connell, M.D. 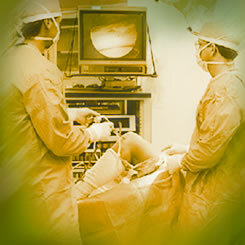 a fellowship-trained, board-certified orthopedic surgeon specializing in surgery of the hand, wrist and shoulder. 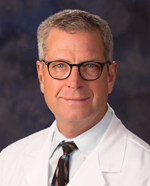 He joined Desert Orthopedic Center in 1988 to establish and direct the Center’s hand and upper extremity program. 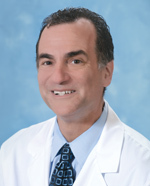 David A. Friscia, M.D. 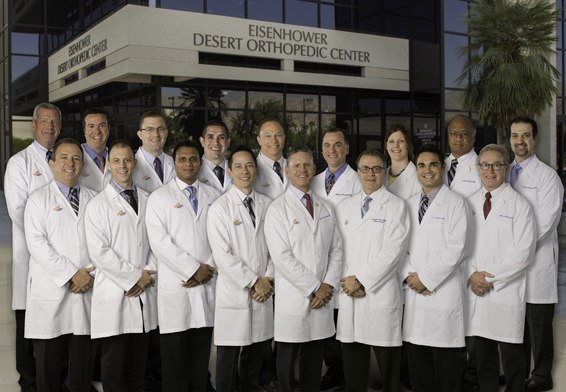 joined Desert Orthopedic Center in 1990 to serve as director of the Center’s foot and ankle program. 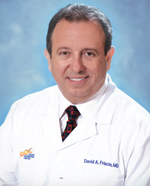 A Southern California native, Dr. Friscia was raised in Long Beach. 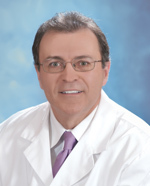 John G. DeSantis, D. O., is a board certified fellowship-trained orthopedic surgeon specializing in total hip and total knee reconstruction. 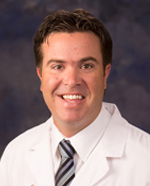 A native of Michigan, Dr. DeSantis moved to Southern California to join Desert Orthopedic Center in 2008. 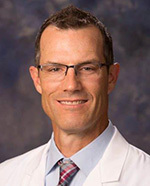 Committed to the care of athletes of all ages, Dr. Patrick St. Pierre is the team physician for College of the Desert, Palm Desert High School and Palm Springs Power Baseball. 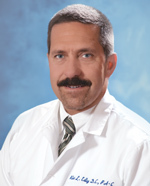 Matthew V. Diltz, M.D. 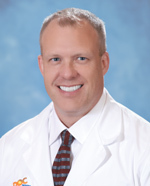 is a board certified and fellowship-trained orthopedic surgeon specializing in Sports Medicine. He is a native of Southern California. P. Jeffrey Smith, D.O. 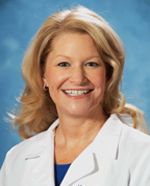 is a fellowship-trained pain management and interventional spine specialist and is Board Certified in Physical Medicine and Rehabilitation. 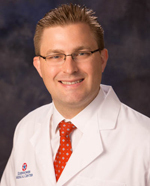 Reginald Fayssoux, MD is a fellowship-trained orthopedic spinal surgeon who specializes in the operative and nonoperative care of patients with problems related to their spine. 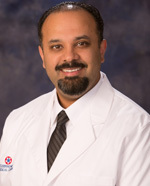 Dr. Cassim is a board-certified physiatrist (PM & R) with additional certification in pain management from the American Board of Pain Medicine (ABPM). 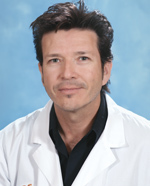 Erik Allen Schnaser, M.D. 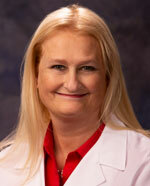 is a fellowship trained and Board Certified hip and knee replacement surgeon. 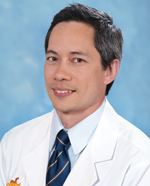 He specializes in adult hip and knee disorders including pre-arthritic and arthritic conditions. 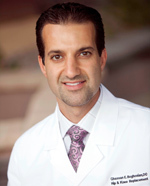 Dr. Boghosian is a fellowship-trained orthopedic surgeon, specializing in adult primary and revision joint replacement of the hip and knee. 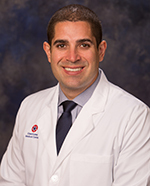 David Daniel Savin, M. D. is a fellowship-trained orthopaedic surgeon. 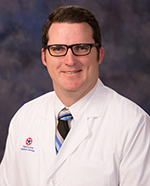 He specializes in the diagnosis and treatment of shoulder and elbow disorders, as well as general orthopaedics and fracture care. 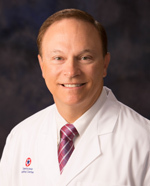 Jacob R. Bosley, M.D. 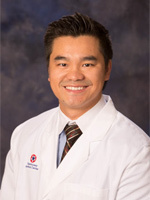 is a fellowship-trained orthopedic surgeon. His training has included a focus on surgery of the hand, wrist and upper extremity. Michael W. Seiberg, D.P.M. is a board-certified podiatrist specializing in conservative and surgical treatment of foot and ankle disorders, including diabetic foot care and wound care. 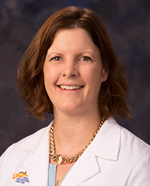 Physician assistants (PAs) is a healthcare professional who is trained and licensed to practice medicine under the supervision of physicians and surgeons. PAs are formally trained to provide diagnostic, therapeutic, and preventive healthcare services, as delegated by a physician. Andrew Charles Allen PA-C, M.MSc. 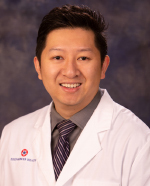 Say Thao, PA-C is a University of Wisconsin-Madison graduate, where he completed his undergraduate degree and Physician Assistant training. 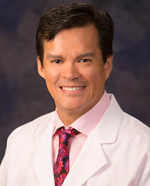 David Delgadillo, PA-C, a graduate of USC School of Medicine, joined Desert Orthopedic Center in 1995 following his academic achievements and several years of experience. 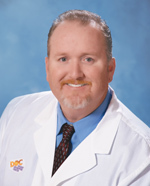 Kirt L. Edly, D.C., PA-C has more than 20 years as a health practitioner. 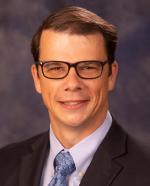 He began his education with a Bachelor of Science degree in biology from Central Michigan University, Mt. Pleasant, Michigan. 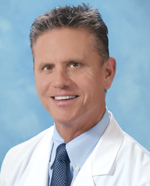 William (Bill) H. Hinds, MMS, PA has been an active health practitioner for the past 20 years. His early medical experience began when he obtained a certificate in Sports Medicine from San Bernardino Valley College in San Bernardino. 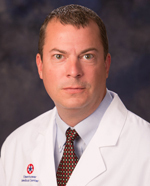 Michael Guiles is a native of Montana, studied at the University of Montana, Montana State University of Billings and received his BS Physician Assistant degree at Rocky Mountain College School of Allied Health. 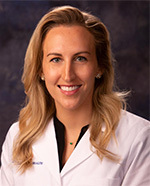 Lindsey Smith, PA-C joined Desert Orthopedic Center after attending Western University of Health Sciences where she received a Masters of Science in Physician Assistant Studies (MSPA). 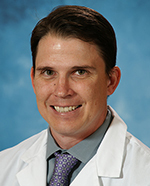 Brendan C. Murphy, MPA, PA-C is a graduate of Loma Linda University’s Masters Program in Physician Assistant studies receiving honors. 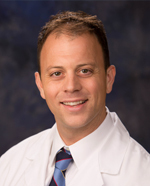 Jim S. Rosell, PA-C, is a native to Southern California where he studied and graduated in Biochemistry from Cal State Fullerton. 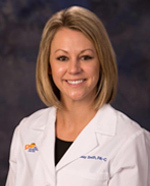 Janice Flocken, PA-C, joined Desert Orthopedic Center following matriculation from South University in Savannah, GA where she graduated with high honors and received her Masters of Science in Physician Assistant Studies (MSPAS).